As we started down the hill from The Pantheon, actually halfway down, we noticed this poster displayed before the chapel below. There was an elegant black French iron fence which we peered through to learn the details. Checking the date and time we found it was that evening ! 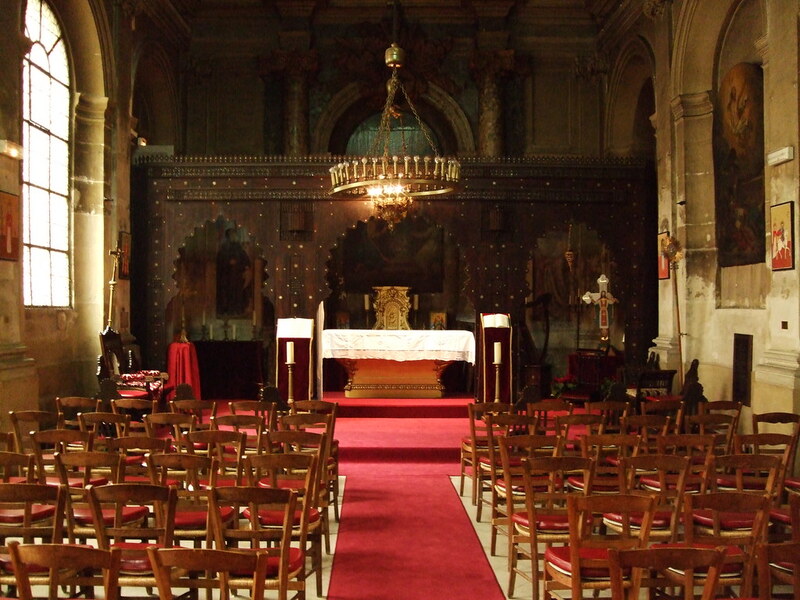 I was very excited as I love these concerts held in churches and we had gone to one on our last trip to Paris. Actually , there are similar concerts that we enjoyed in the Czech Republic and in Croatia , and of course in Rome. David, who is often less enthusiastic than I , said he liked the program, especially Satie. He thought we could go back to our apartment for a rest, and catch a bite before or after the concert. That is exactly what we did. Here are a few details about this venue. It is located in the historical heart of Paris. It is a regular venue for concerts and recitals given by talented young musicians, all from the National Conservatory of Music of Paris. The program is always major composers and we were happy tonight these were ones with whom we were familiar . We particularly enjoy Satie and I will leave a YouTube at the end of the post if you are not familiar with his work. David didn’t care for the List section. Though it was very difficult, it was also very intense and played all over the keyboard in a rather chaotic style. The young musician was Elio di Tanna as the solo performer on the piano. He was dynamic and very dramatic and made the music come alive. The audience was intimate with only 80, not so comfortable chairs, and the cost of admission was 23 Euros which we thought reasonable with the quality of the program , the acoustics and the music. The interior of St. Ephrem. This entry was posted in Architecture, art, artists, France, Liszt, Paris, Satie piano, St Ephrem, Suzanne Valadon, Uncategorized and tagged Beethovan, concert, Elia di Tanna, France, Paris, photography, piano, Satie, St Ephrem, tourists. Bookmark the permalink. It was, indeed, Joshua. Thanks for stopping by.